The infiltration into governments of the majority of major Spanish municipalites by Podemos, a far-left political party, financially supported by both Venezuela and Iran, has resulted in a major political shift in Spain. The well-placed fear is that the two supporting countries, which are the subject of international as well as US sanctions, will use unsuspecting Spanish entities or individuals, to evade sanctions. 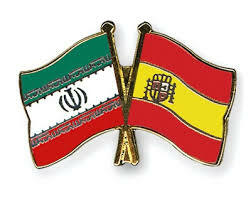 bad actors could ally themselves with international organized crime groups that play their dark trade inside Spain, and could effectively front for Iranian interests, using Venezuelan proxies. Given the recent US Federal criminal case, against the owner of Malta's Pilatus Bank, for funneling dollars from Venezuela, into Iran, in a huge sanctions evasions case, it is prudent to expect that there will now be clever efforts to use Spain for that purpose, and as such one should raise Country Risk for Spain at this time, if you are a compliance officer at a North American bank.